Ever Wonder How to Get Easy Money? “Ever Wonder How to Get Easy Money?” written by Guest Contributor. Do you think there is such a thing as easy money? 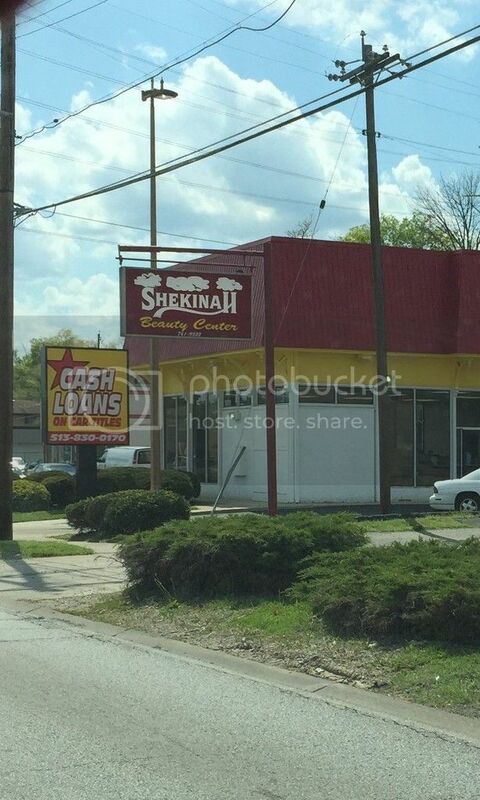 We live in Cincinnati, Ohio and in certain area’s of the city you can pass block after block of pawnshops, payday-loan businesses and convenience stores selling lottery tickets. It certainly looks like everyone is looking for ways to get easy money. They are places to go if you’re short on cash and are desperate for money. Many people live paycheck to paycheck and payday loan places make it easy to get quick cash when you need it. The commercials tell you it’s quick and easy. You simply write a post-dated check and they give you cash on the spot. They hold the check and don’t cash it until your next payday. But in reality you are actually paying a 520% APR. If you want to borrow $300 from a payday lender, you pay a fee, usually $20 per $100 that you borrow. So you write a check to the payday lender for $360. At the end of the two weeks, if you’re like most people, you have to roll the loan over and pay another $60. The $120 you pay to borrow $300 for one month translates into a 520% annual percentage rate (APR). These places cater to the people who are just starting out on their own in life. Most people who use these places are between the ages of 18-25 years old. They require no background check and are open 24 hours. For people looking for how to get easy money, it can be a vicious trap of paying off interest charges for years. Do You Want to Know How to Get Easy Money Too? I can’t say that I’ve ever gone to one of these storefront places for extra cash, even when I was young, but I have on occasion played the lottery just for fun. Like millions of other Americans I was secretly hoping to win big and become rich over night. But for many it’s not just for fun, It’s reported by the Consumerist, that poor people in the U.S. — those who earn $13,000 or less per year — spend as much as 9 % of their income on lottery tickets! And we have to tell them that this is a true business and like any other business it takes time and work. It’s best to expect to be rich in whatever time it takes. We have been very successful in internet marketing, but it has not been quick or easy. and we needed a financial investment upfront before we started seeing results. So how to get out of the spiral of poverty mindset of desperately needing cash and stop using things like the lottery and pay advance places and take your rightful place as a freedom-preneur? It will take: sacrifice and delayed gratification. Sacrifice in the beginning to get the rewards later on. You need to be willing to do what no one else in your family or circle of friends is willing to do. It might mean temporarily working at a job you don’t like. You might need to keep your present job for a period of time until you can make the transition into your entrepreneurial lifestyle. Are you willing to have no social life for a while. Your business will impact how much time you spend with your friends and family. You will need to sacrifice your ego and ask for help. Reach out to people more successful than you and be willing to be coachable. You will need to sacrifice sleep. For a period of time you will need to stay up late and work extra hard to reap the rewards of an easier schedule later on. Don’t expect things to look good within a few years. Even if you are starting to make good money, you will need to reinvest back in to the company. Would You Be One to Stop Looking for How to Get Easy Money? Why would anyone do this? No one would without a strong “why” and a vision for the rewards of a better life and leaving a legacy of providing value to your family and multitudes of people. Maybe you might be the first person in your family and circle of friends who has become an entrepreneur and business owner. That’s the beauty of the internet, you can get access to the tools and training you need to succeed. You will be supported and surrounded by a community of people who have been where you are now and will be cheering you on. That’s something only YOU can decide. Article: Ever Wonder How to Get Easy Money?